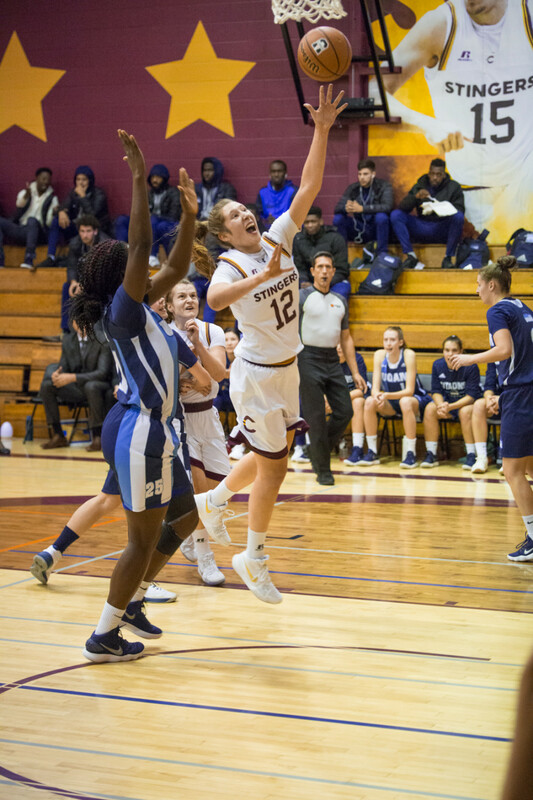 The Stingers women’s basketball team was in danger of losing their second straight game and seeing their record fall to 2-2 entering the fourth quarter of Saturday’s game against the Université de Québec a Montréal Citadins. 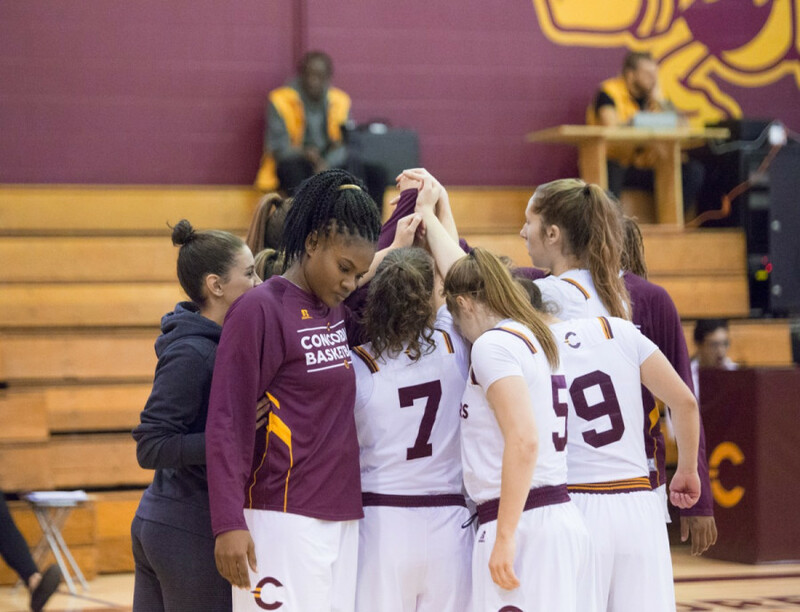 After a 27-point drubbing at the hands of the McGill Martlets a week ago, Concordia looked to be heading down the same path. That’s when they started to buckle down and gained control of the game. 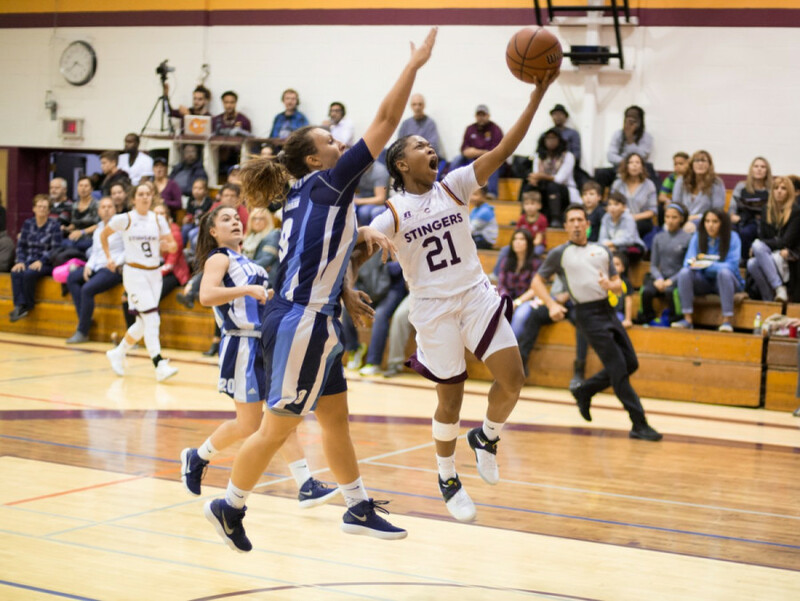 12-point fourth quarters by Stinger guards Jazlin Barker and Caroline Task helped neutralize a 14-point, 14-rebound double-double by UQAM’s perennial all-star forward, Jessica Lubin. After the game, Gittens was quick to praise Task for her late-game heroics. “Caroline took over that fourth quarter, she never stopped,” said Gittens. She finished the game with 18 points, which was actually her season-low. Through four games, she’s leading the league in scoring, averaging 24 points per game—seven more than McGill centre Alex Kiss-Rusk. As the fourth quarter dwindled down, so did UQAM’s lead. 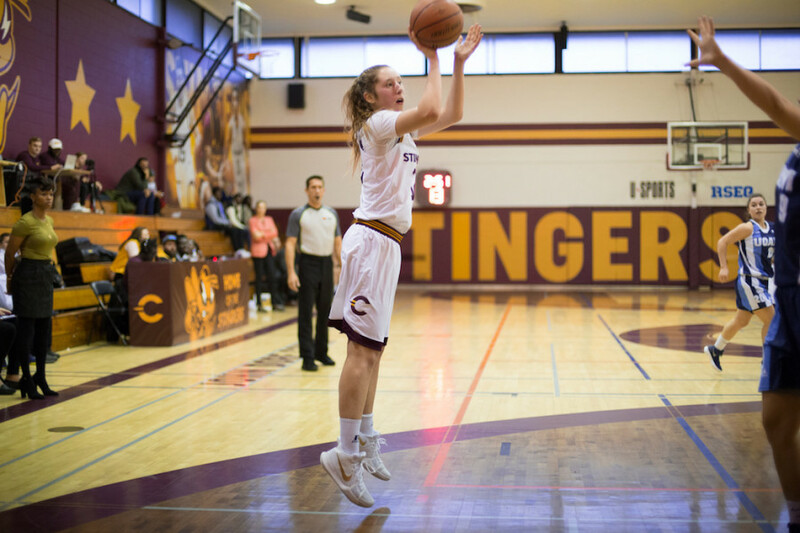 A pair of free throws by Task gave the Stingers the lead with just under four minutes left in the game. With the lead, Concordia just had to ice the game with free throws. They were able to do just that, and complete the comeback. Barker felt that the team’s late-game defense was what truly put them over the top, not the offense. Barker finished with a game-high 23 points, along with six rebounds and six assists. Coralie Dumont started the game at centre and responded with a 12 point, 12 rebound, and three assist performance. D’Anjou-Drouin chipped in with 14 points, four rebounds, and three assists of her own. The Stingers will now have a bit of a break to recover from some injuries sustained over the first half of their season. They’ll head to the University of Toronto to play in a tournament hosted on their campus. Their first opponents will be the University of Victoria Vikes on Dec. 28. 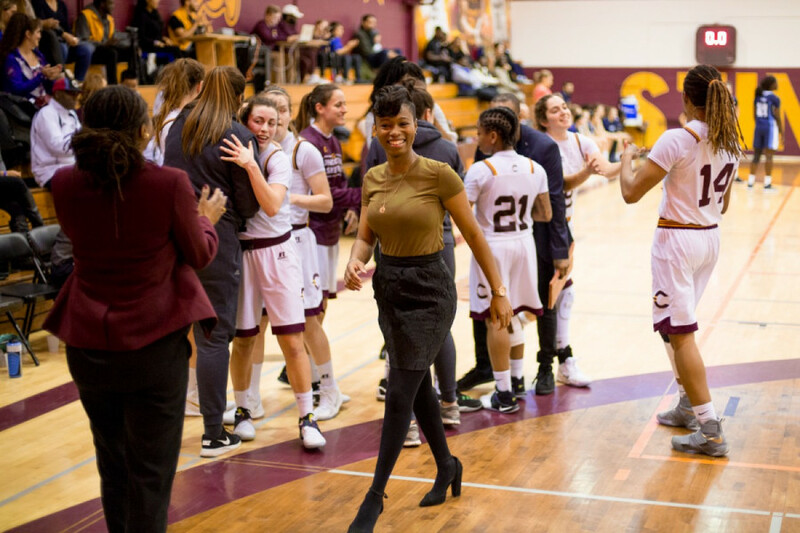 Correction: this article previously stated that Concordia’s conference win-loss record would have fallen to 1-3 had they lost the game to UQAM, when it would have, in fact, gone to 2-2. The Link regrets the error.